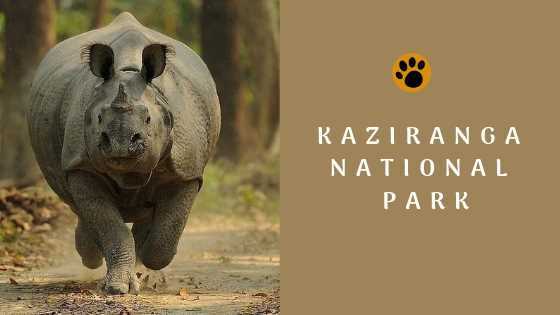 Kaziranga National Park is one of the most stunning habitats all across India. Once perceived as impenetrable because of its swamps and tall grass, Kaziranga, is now a world heritage site that has steadily gained popularity with wildlife tourists from across the world. Home to the famed, ‘unicorn’ or one-horned Rhinoceros, and of course the majestic Bengal Tiger, the park boasts of a stunning collection of flora and fauna. No other park in the country is home to three big cats- the Royal Bengal Tiger, the Leopard, and the elusive Clouded Leopard. 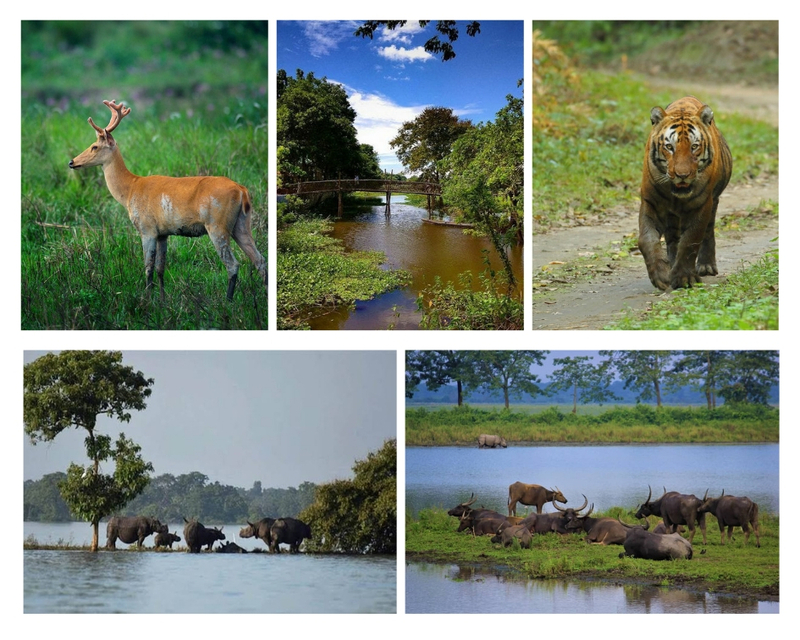 The Assam Roofed Turtle, the Bengal Florican, the huge Pallas Fish Eagle, the endangered Gangetic River Dolphin, Hoolock’s Gibbon- Iwhich is India’s only ape, the Asiatic Water Buffalo, Swamp Deer all are species found here. If you are lucky, you may end up spotting the monocled Cobra. The other reptiles in the park include the Bengal Monitor lizard, the Water Monitor lizard, and both the pythons- the Reticulated Python and the Rock Python. See below for a full list of animals in the park. Spread over 350 Sq. kms, this riverine habitat consists of broad-leaved forest, elephant grass lands, exposed sand bars alternating with the flood filled ‘beels’. As you make your way from Guwahati and near the park, the landscape gives way to expansive grasslands with water bodies dotting all over the place. As you squint your eyes to see what sees like a collection of dark rocks in the background, you soon realise that it’s a group of Rhinos calmly munching down the grass. After the initial excitement, you soon realise that rhinos abound in this forest interspersed by water buffaloes and elephants. The forest is split into four zones- the western zone, the central/Kohora zone, the eastern zone, and the Agatatoli zone. The central and western zones are great for watching mammals and the elephant safaris start from here. The elephant safari from the Kohora zone are the best- the experience of riding on platform that lurches and dips as animals lurk and move in the swirling fog amidst the tall elephant grass is equally unnerving and exciting at the same time! The Agaratoli zone and the Eastern zone are great for birders. The park is home to excellent birdlife including the Bengal Florican, White-bellied Heron, Baer’s Pochard, Adjutant Storks (both greater and lesser), a variety of raptors and grassland birds. Click here for full bird list. The Agarotoli range is especially good for trying your luck with the Gangetic River Dolphin which is sadly on the precipice of extinction. For anyone planning a visit to this idyllic park, we recommend at least spending 2 nights at the minimum. There’s a host of accommodation options that suit every budget. WildTrails has partnered with the best of them to offer you a superior wildlife experience. An important thing to also consider when you venture any park and not just Kaziranga is the naturalist who tags along with you on your safaris. WildTrails ensures that you get a truly authentic and well-informed naturalist who can maximize your learning and enjoyment in this wonderful park. We recommend that you visit this park between the months of November to early May.